Beside aluminum and copper, we accept inquiries about other materials, such as stainless steel, magnesium alloys, and resins, and components made from these. Plate, coils, tubing, lost-wax castings, etc. 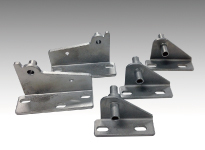 Vibration-proofing alloys, powder metallurgy parts, magnetic materials, molded resin, etc. 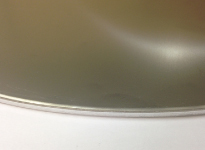 Metal cladding plates are very useful composite materials that perform brand-new functions, because different metal plates are combined to make a single product.AL/SUS cladding plate has the light weight of aluminum and the strength of stainless steel.Compared to stainless steel, it has higher molding easiness, and is effective to prevent electrolytic corrosion with lightweight. We allowed high quality and low price products thanks to integrated production overseas.This production method can handle smaller lot thought die casting products cannot.We cater production of these method from prototype to mass production. 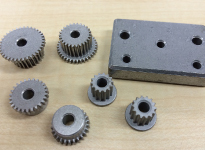 Cast iron is used for parts that require good wear resistance, like bearings, gears, and brake shoes, and also because it has excellent damping properties (vibration attenuation). 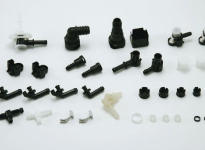 We also handle resin parts and materials such as engineering plastics, elastomer resins and functional resin components. 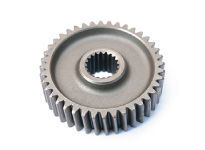 We also supply parts for small motors using powder metallurgical technology.